Most people in San Francisco know what to do if they experience a medical emergency, but what about a dental emergency? Knowing what is considered to be a dental emergency is the first step. Losing a crown, bridge or filling may seem like a call to an emergency dentist is needed, but the reality is getting the next appointment during normal business hours is sufficient in many cases. However, a severe toothache that won’t go away definitely merits a call to an emergency dentist. Here are some things to consider in this regard. Severe toothaches can happen suddenly or gradually get worse throughout the course of several hours. The symptoms patients in San Francisco feel with their toothache could be a sign of tooth decay or other underlying issues. The discomfort felt can sometimes diminish a person’s quality of life. That’s why Dr. Skoulas is proud to be an emergency dentist ready to respond to her patients’ needs. Many times a severe toothache needs to be treated immediately, so it’s always a good idea to call Dr. Skoulas for an opinion and to determine the next step. Not calling could cost patients their tooth and create the need for more extensive dental work. A quick phone call to a trustworthy emergency dentist is recommended before trying any home remedies to alleviate the symptoms. Dr. Skoulas may suggest rinsing the mouth out with water to remove any food particles or applying an ice pack on the outside of the mouth near the location of the toothache. Depending on the specific symptoms and how the toothache developed, it’s possible Dr. Skoulas will want to see the patient right away to prevent any further issues from occurring. Always having an emergency dentist on speed dial can bring anyone in San Francisco peace of mind. However, while the emergency dentist is available to patients, it’s important to not overuse the resource by calling in non-emergency situations. With that being said, Dr. Skoulas understands some of her patients may not know whether their situation requires an emergency dentist or not. In those situations, don’t hesitate to contact her to explain the situation and let her decide whether it is an emergency that needs to be treated immediately. Skoulas, DDS takes pride in being available for San Francisco patients around the clock. No one knows when the need for an emergency dentist will strike, but you can rely on Dr. Skoulas to be there when the need arises. 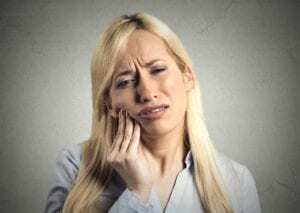 Severe toothaches shouldn’t be ignored, so a quick phone call can help at least give patients peace of mind if Dr. Skoulas determines the symptoms aren’t classified as an emergency. If you have any questions about whether an emergency dentist is needed, contact us at (415) 757-0110, and we will make sure that you receive the proper attention and care any time you need it.